Karey White: Want to Join Me On Kickstarter? 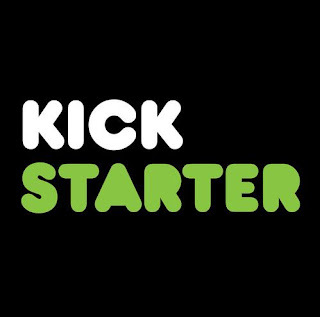 Some of you probably don't know what Kickstarter is. I didn't until a friend clued me in. Then Midas Whale, the group I enjoyed on The Voice launched a Kickstarter to fund the creation of a CD. I became a backer and then spent quite awhile learning the details of what it is and how it works. Then I decided to use it. After interest from a few traditional publishers and an offer from one, I decided to take a chance and publish My Own Mr. Darcy on my own. This meant I was giving up the benefits of a traditional publisher (professional cover designers, editors, typesetters, etc) in exchange for more control and a higher percentage of royalties. It's been scary but exciting. Since deciding to go this route, I've enlisted the help of my own marketing/publicity person, I designed the cover, and I'm typesetting and formatting my book for print and e-book (with the help of kind people who have done this before). I also had to create my own small publishing house (Orange Door Press). These things have cost money that had to be paid before I receive a dime for my book. And then there's acquiring inventory. I'm THRILLED to be holding my book launch at The King's English again. They hosted such a great party for For What It's Worth and I'm excited to have been invited back. Because I'm self-publishing, they'll be ordering books from me and I'll be providing the inventory for the launch. All this brings me to the point of this post. I've launched a Kickstarter project to help me pay for the expenses of bringing My Own Mr. Darcy to you. The great thing about Kickstarter is that you're not giving money for nothing. There are some fun reward packages that you'll get if you donate to my Kickstarter. Please take a look and see if there's something that interests you. If you prefer to wait and buy a book when it comes out in September, that's fine, but if you wouldn't mind putting this on your facebook or twitter pages, I'd be so grateful. You can find my project HERE.